Planning on installing iOS 11 onto your iPhone or iPad when it becomes available on September 19? Then take a few moments to prepare your device for the iOS 11 update! This walkthrough will detail checking proper device compatibility, performing some simple house keeping and maintenance on an iPhone or iPad, backing up the device, and finally, installing iOS 11. By the way, if you’re impatient and you’re going to only take one piece of advice then have it be this: back up your iPhone or iPad before installing iOS 11. Never skip a device backup! 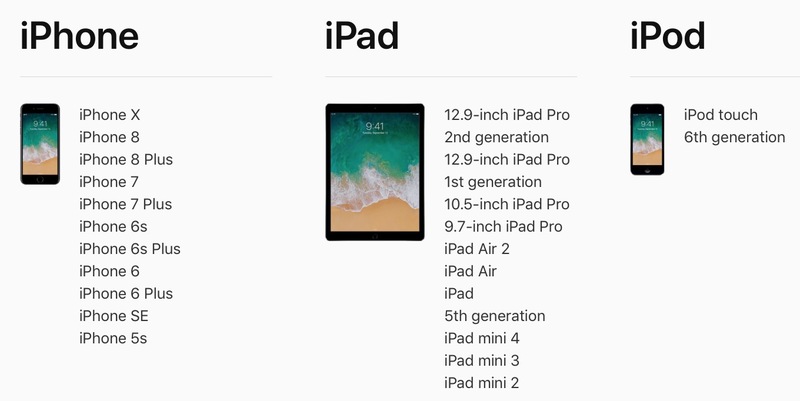 1: Check Compatibility: Can my iPhone or iPad run iOS 11? Generally speaking, the newer, faster, and better model of an iPhone or iPad, the better the performance of iOS 11 will be. Major system software updates are a good time to do a little house cleaning and free up storage space on the iOS device. This is also helpful because you’ll need at a few GB available to be able to download and install the iOS 11 update anyway, and a full device won’t be able to download or install the update. Not sure where to start? Deleting apps that you don’t need or that go unused, removing unwanted movies and pictures (after copying the images to Photos on the Mac anyway), clearing out Documents and Data, or even deleting music from an iPhone or iPad are all methods of clearing out storage space on an iOS device. Aim to have at least a few GB of free space available. Once you have deleted unused apps and made sure you have sufficient storage available, it’s also a good idea to update your iOS apps via the App Store Updates tab. Many apps are updated to take advantage of new features in system software, as well as patch bugs and insure compatibility. You absolutely must backup your IOS device before installing iOS 11. Backups allow you to restore a device and can prevent data loss. Do not skip the backup process, it’s easy. You can backup to iCloud, or iTunes, or both. 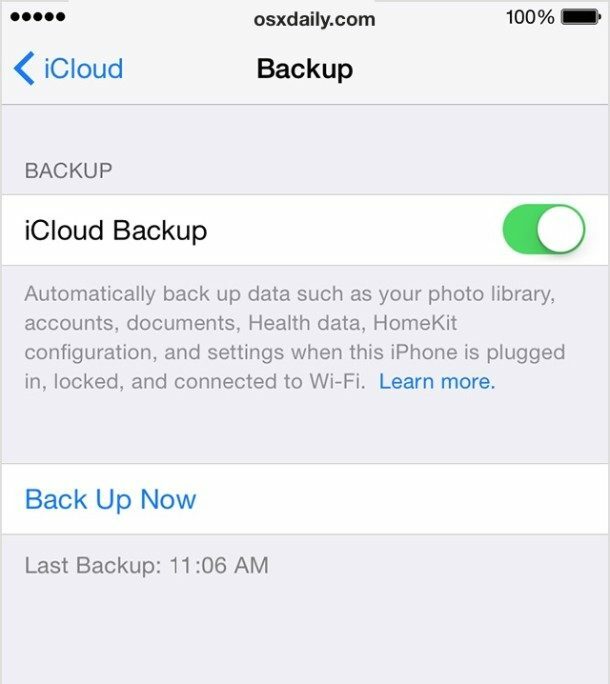 For iCloud, open the Settings app in iOS and tap on your name to access iCloud settings in the latest system software releases.. Then go to “iCloud” and to “iCloud Backup” and choose to “Back Up Now”. Be sure you have a fresh backup made right before installing iOS 11 update. In iTunes, simply connect the iPhone or iPad to a computer with iTunes and choose to backup. You’ll want to encrypt the backup in iTunes so that passwords, health data, and other useful stuff is kept in the backup too, since it makes the restore easier. Remember, iTunes 12.7 removes the App Store so app backups are no longer part of iTunes backups, instead they must be downloaded again. 4: Install iOS 11 and Enjoy! 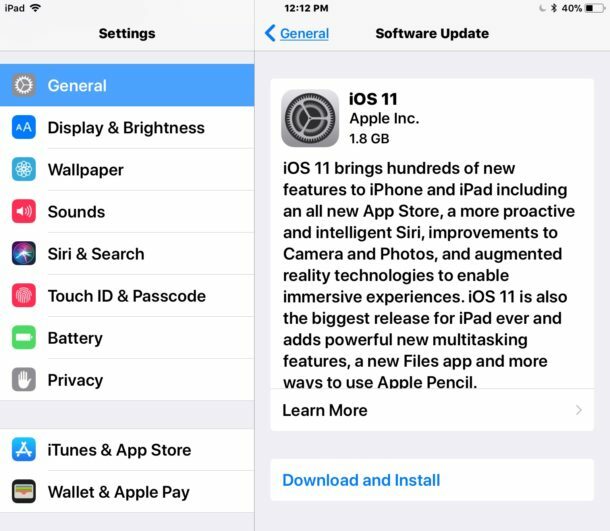 iOS 11 is a free software update for iPhone, iPad, and iPod touch. You can update to iOS 11 through iTunes on a computer, or through the Settings app in iOS itself. The Settings app is typically the easiest way to install a software update. Be absolutely certain you have backed up your iPhone or iPad before installing iOS 11! The official iOS 11 release date is September 19. The impatient can download iOS 11 GM right now through the public beta program or with IPSW, however. The best way to prepare for a new OS or iOS release is NOT to immediately update when it is released. Apple uses the public to shake out bugs that should be done in beta testing. IMO waiting until at least the 2nd major update, along with researching how those who could not wait are making out, before making the plunge, and for God’s sake BACK UP BEFORE DOING ANY UPDATE NO MATTER HOW MINOR!!!!! Your approach is the way I have been dealing with upgrades for years. It seems since Steve Jobs passing Apple has adopted the “Microsoft” method of upgrades. I am not a beta tester. I want my Apple devices to work. No rush to upgrade anything. It’s not a priority. I would expect a more stable punblc release this year because there were a lot more betas (10) than ever before for both the public and developer programs. Nonetheless, it’s still better to wait at least a few days before updating. And not only because of the bugs, but because people anxious to get their hands on the update will overload apple’s servers on launch day; it happens every year. And then the update doesn’t download properly and bricks their devices like the iOS 10 update did last year. Also, some ios 11 new features including the new person to person apple pay have not appeared in the betas or the recently released GM version (which is basically an early release of the final version exclusively for developers), so we’ll have to see if they show up on sep 19th or if we’ll have to wait until ios 11.1 to get them. I actually agree with this, just based on more recent experience with Apple operating system updates. I have had enough problems with enough downtime troubleshooting them that I hold off on updates until .1 or .2, sometimes even .3 releases. For iPhone I will wait until iOS 11.1 or iOS 11.2. For High Sierra I will wait for macOS 10.13.3 or later, changing the entire file system and GPU drivers is a lot to disrupt at once. This is just my personal opinion and advice, but it is also what I recommend to others. And yes I totally agree with you and the article that backups are so important, always back up. It’s like Murphy’s Law, the moment you don’t back up is when you will have a problem! I suspect iPhone X will ship with iOS 11.1 anyway, so not a big rush for me. 1. when you reset your phone will the phone install the latest ios only? or first it installs the ios that came with the phone originally then it installs the latest ios on top of it? 2. When you go to software update and update the ios will it write the new ios on top of the existing ios or it does a clean install by removing the existing ios and installs the latest? Thanks in advance. 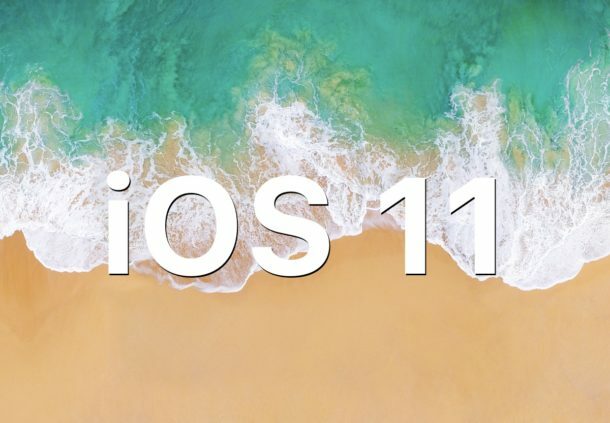 Most of your apps should work fine in ios 11, especially games because those are usually updated to benefit from the latest hardware and software. Just make sure you update to their latest version. The only apps that will not work on iOS 11 are 32-bit apps. To check if you have any of those go to settings>general>about on your iphone or ipad and tap on ‘applications’ to see the list of 32 bit apps on your device. If there’s no. If there isn’t a little arrow, >, next to applications it means you don’t have any 32 bit apps and all your existing apps should work fine on iOS 11. I will never update to this, for if no other reason the dumbing down of iTunes to a non functional IMO state. Sierra and iOS10 work just fine for me, when they don’t I will be departing Apple forever unless they revert many things back to a functional, sensible, logical state of operation. Downgrades, not bugs, the changes are intentional, like the lastest iTunes removal of sync features via the app store. Anyone with multiple iDevices HATES this change. I now can update and sync all my apps on ALL devices quickly and from one plce, Apps from iTunes. With the updated version, which I am SURE is installed with High Sierra, I now must update each device, via WIFI, individually. What idiot at Apple thought this was a good idea should be fired. That’s just the tip of a very large iceburg. As apps have been removed, stupidly, I can no longer organise the placing of apps on my iPhone or my iPad. Why was this function removed by Apple ? You can now only drag and drop apps on the iOS screen to rearrange the apps and organize apps on the iPhone or iPad, iTunes no longer has that feature. As apps have been removed from iTunes on my Mac I can now no longer organise apps on my iPhone or my iPad. Why did Apple remove this very useful function? Question: if I update my iPad to ios11 and lose some apps, what happens to them? Some developers are still updating so would I eventually receive notice the apps are updated?